Physical therapy can remediate a large number of disabilities and impairments, including many foot conditions. Physical therapy often helps decrease the painful swelling of a foot or an ankle. If you suffer from heel spurs, bursitis, plantar fasciitis, bunions, corns and calluses, as well as many post-operative surgical conditions, you should know that these ailments respond well to physical therapy. Cherrywood Foot Care provides a wide range of physical therapy regimens to help cure a number of foot-related conditions and injuries. This includes, among many others, hot packs, massage, paraffin baths, electrical stimulation, ultrasound, and diathermy (deep heating of tissues through use of electric current) to relieve pain and swelling, increase range of motion, prevent joint stiffening, rebuild muscle strength, and support the proper alignment of foot structures. 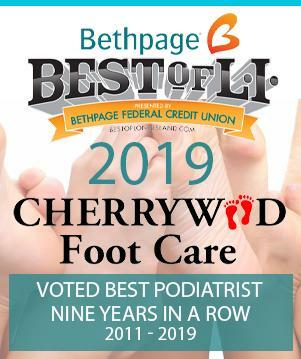 Make an appointment with Cherrywood Foot Care‘s board-certified team of foot care experts today and find out if physical therapy is an optimal option for you.